With all the spring allergies floating around, you may be asking yourself, “How often should I change the air filter in my house?” Good question! 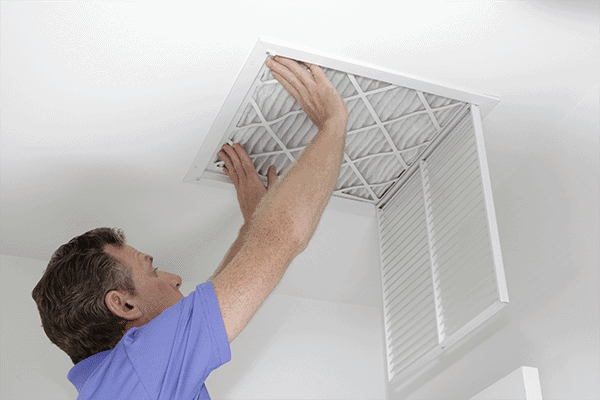 Changing the air filter frequently is your best defense against breathing airborne allergens and debris in your home. The general guideline for how often to change air conditioner filter in house is every 90 days. However, every household has circumstances that could require more or less frequent changing of filters. The average household will be fine with a moderate-quality air filter that is changed every 90 days. “Average” really means suburban neighborhood, no pets, moderate to low traffic in the home. Households near open fields or construction zones, or homes with pets should change the air filter more frequently. Pets carry allergens and pollen indoors, not to mention the dander and dirt that is in their fur, even if they are bathed regularly. Homes with these situations should change the air filter every other month. If any of these sounds like your home, changing your air filter every 4-6 weeks is recommended. When I think, “How often should I change the air filter in my house?” I am forced to evaluate how dirty the air filter is when I inspect it. If you haven’t changed the filter for a while, you may be appalled to see just how thick the layer of nasty dust is! We’ve all done it. But when your air filter is covered with filth, that’s a clear sign your air filter needs to be changed. Some of the low-quality filters that are super cheap barely do more than trap large particles of dust and debris, so they may look deceivingly clean after a couple of months. Higher quality air filters trap finer particles and get clogged quicker – this is a good thing! It means they are trapping lots of muck that would otherwise still be floating around reducing the quality of the air you breathe. Check your air filter according to the recommendations for your household. If it’s clogged enough that you can’t see the filter fibers, check it sooner next time to make sure you are changing the air filter often enough. Invest in a higher quality air filter to ensure it is trapping even the tiny airborne particles that you shouldn’t be breathing. You no longer need to ask, “How Often Should I Change the Air Filter in My House?” There ain’t nothin’ to it but to do it! Change your air filter with these easy steps. 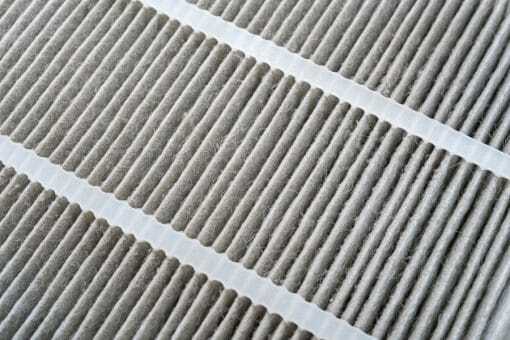 Maintaining your HVAC system includes keeping air filters clean. For further service or repair on your AC system, contact your local AC repair technician.